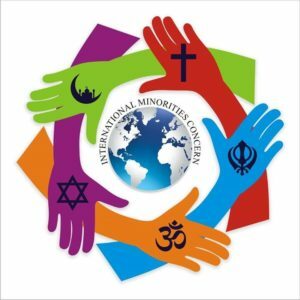 LONDON, UNITED KINGDOM (ANS) — The Chief Executive of International Minorities Concern, a UK-based advocacy group for minority rights, has called on believers in the United Kingdom and the United States to highlight the case of a Christian woman acquitted of blasphemy — yet still under ‘protective custody’ in Pakistan. Sheraz Khan said in a media advisory: “I am trying to reach out to every man and woman in the world to highlight the cause of Asia Bibi, a Pakistani Christian mother of five who was accused of having committed blasphemy in 2009. “I ask free men and women around the world to please stand up for Asia Bibi. I ask you to please make a noise for Asia Bibi. I request you to please write to your members of Parliament and Senators or Congressmen, so that they can ask the Pakistani authorities to allow Asia Bibi to fly to Canada. In 2018, Khan called for the release of Asia Bibi while speaking to a protest rally outside 10 Downing Street. After the rally, Khan handed in a petition to the officials of 10 Downing Street. The petition, among other things, urged Theresa May, the UK Prime Minister, to take up the issue of the release of Asia Bibi with the Pakistani government. It was on June 14, 2009, when Bibi’s life was turned upside down after she “dared” to drink water from a glass that was owned by her Muslim women colleagues at the farm where she worked. A verbal altercation ensued between Bibi and her Muslim co-farmworkers, and she was subsequently accused of having committed blasphemy. Bibi has consistently denied having committed alleged blasphemy against Muhammad, the prophet of Islam. In 2009, a police First Information Report (FIR) was registered against Asia Bibi by a religious cleric, Qari Muhammad Salaam, even though it appears Salaam was not a witness to the alleged blasphemy. Two Pakistani Muslim farmworkers, who were sisters and used to work alongside Bibi, then apparently relayed the alleged blasphemy to Salaam, who then reportedly went to the local police station in district Sheikhupura, 22 miles north-west of the eastern Pakistani city of Lahore, in Punjab Province. It was claimed the police were pressured into registering a blasphemy case against Bibi on the premise of a second-hand, and unsubstantiated account, of the alleged blasphemy attributed to Bibi. The Lahore High Court, subsequently, upheld the death sentence. Pakistan’s top court, the Supreme Court of Pakistan, admitted Bibi’s appeal in July 2015. In October 2016, the Supreme Court fixed a date for hearing Bibi’s case, however, the court adjourned the hearing after one of the three judges, who were to hear Bibi’s appeal, refused to hear the case. A new date for the hearing was set. On January 29, 2019, the Supreme Court of Pakistan rejected a review petition challenging the top court’s decision to acquit Asia Bibi. Asia Bibi’s two daughters managed to fly to Canada in December last year, and have reportedly said they are looking forward to their reunion with their mother.